Helsinki ranks 6th in satisfaction with employment and 8th in satisfaction with streets and buildings. Helsinki’s citizens have placed 6th in satisfaction with their city in a ranking released by The Guardian. Residents of 79 cities in Europe were polled on various aspects of their lives such as healthcare, cleanliness, and noise levels, among others. 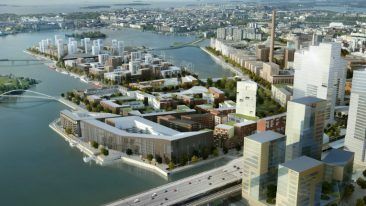 According to the report, 97 per cent of residents in Helsinki are satisfied overall. The city’s best performance in a subcategory was in employment, where it placed sixth with 53 per cent of people satisfied with its availability. The second Finnish city in the poll, Oulu, placed second in satisfaction with the city’s streets and buildings, and third in noise and housing. Oulu placed 10th in the overall ranking. The list is lead by Iceland’s Reykjavik, where 98 per cent of residents were satisfied with their city overall. The German cities of Rostock and Munich followed Reykjavik in second and third place, respectively.